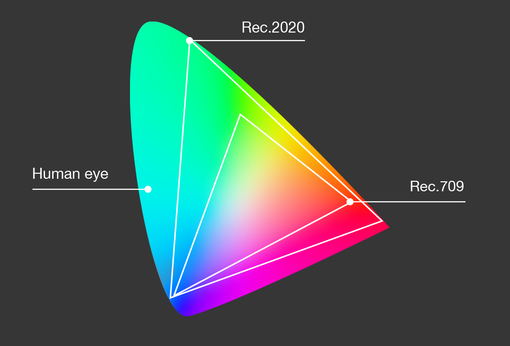 You can now enjoy HDR video from Vimeo on your iPhone X, iPad Pro and Apple TV 4K. 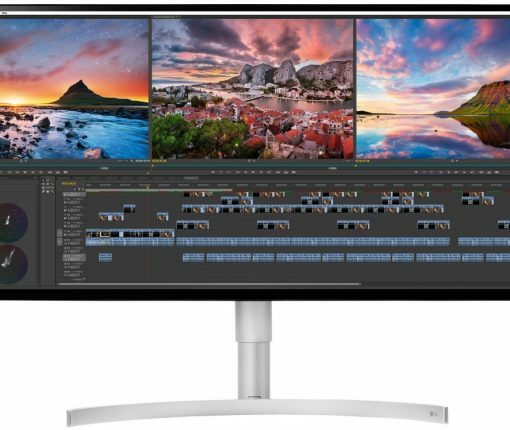 LG’s UltraFine 5K Display, the external ultra high-resolution display Apple didn’t want to make, is now available to order through Apple.com. The display can be ordered with Apple’s in-store pickup option (availability of in-store pickup may vary from one store to another). First orders were scheduled to deliver on December 27 or 28, with in-store pickup availability on December 29. 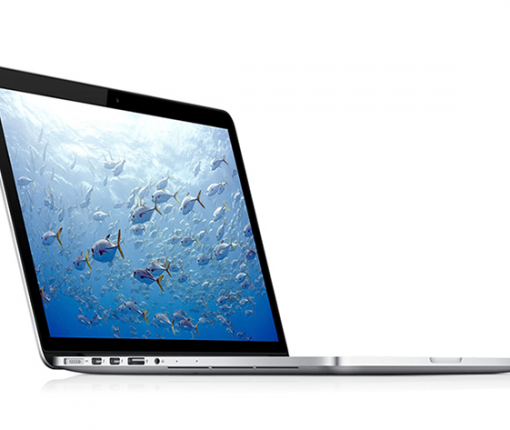 However, estimated delivery times quickly slipped to 2-4 weeks. 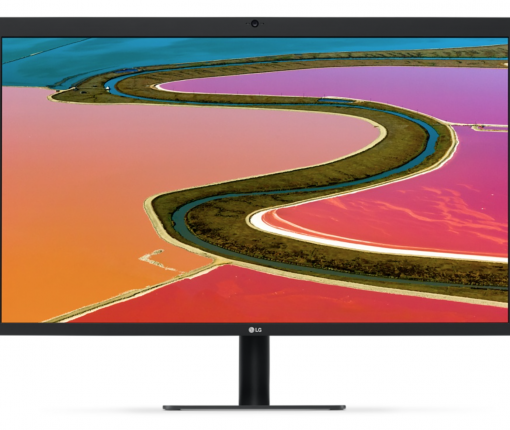 During its ‘hello again’ event on Thursday, Apple showed off a new 27-inch 5K LG UltraFine display. 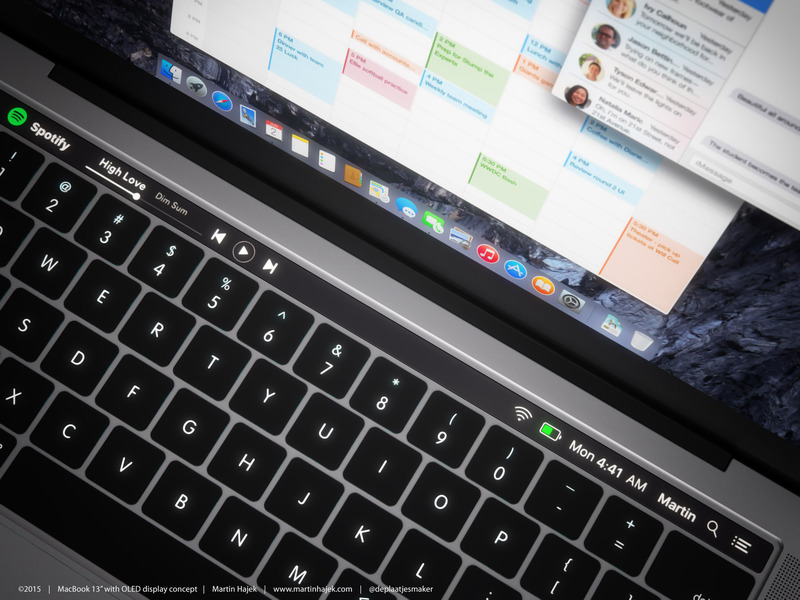 SVP Phil Schiller described it as the “ultimate docking station” because it has multiple Thunderbolt 3 ports, and can even charge the new MacBook Pro. Schiller also noted that Apple teamed up with LG to build the display specifically for the new Pro, so it’s unclear what the future is of Apple-branded displays. There have been rumors it’s building one, but it may have decided the numbers aren’t there. 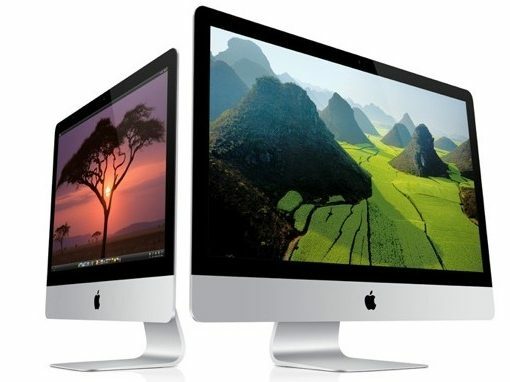 Apple is said to be releasing a 27-inch iMac with Retina display and a new high-resolution 27-inch Thunderbolt Display by the end of the fourth quarter of 2014, Taiwanese trade publication DigiTimes reported Friday citing a report from Taiwan-based display researchers WitsView. 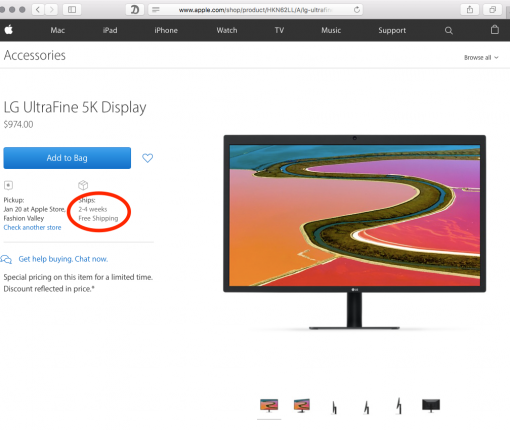 The upcoming Thunderbolt Display should feature a 5K resolution of a whopping 5,120-by-2,880 pixel versus the 2,560-by-1,440 pixel resolution on the current Thunderbolt Display.